A papilloma is a benign epithelial tumor growing outwardly in finger-like fronds. To expand skin. To invade space. 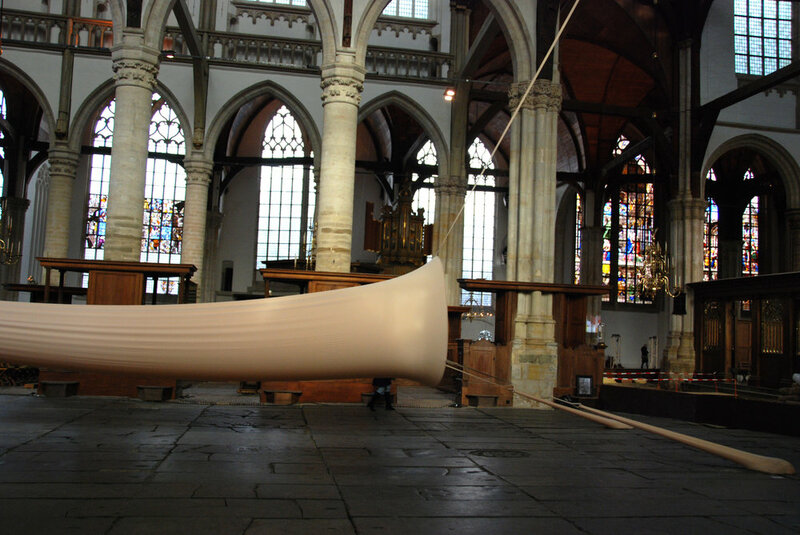 It was installed in the oldest building and parish church in Amsterdam, now located in the middle of Red Light District. Heavy extensions filled with sand keeps the air born structure in place and in a stretched state.